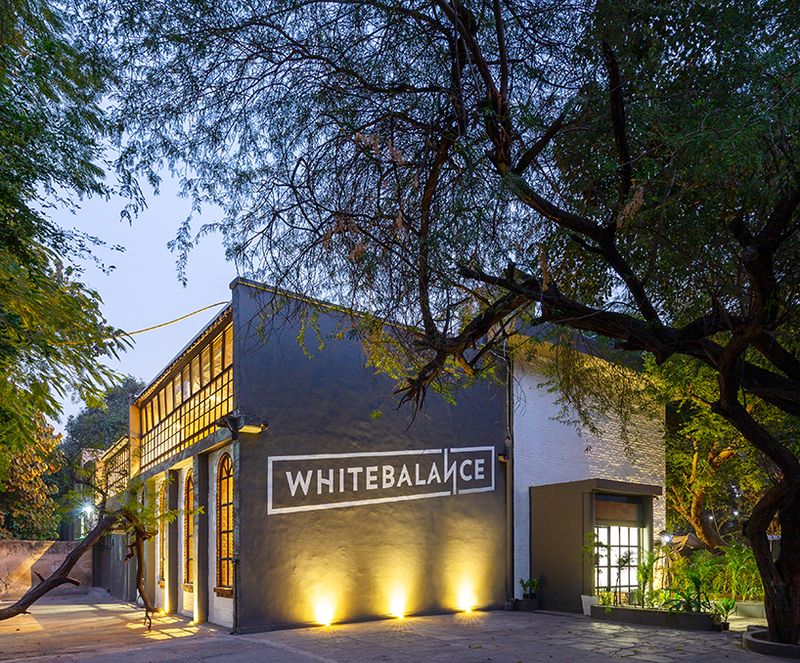 in the okhla industrial area of new delhi, studio bipolar has reimagined a former 60s era pharmaceutical warehouse into a new 6000 square feet office and film studio for a creative agency named ‘whitebalance’. 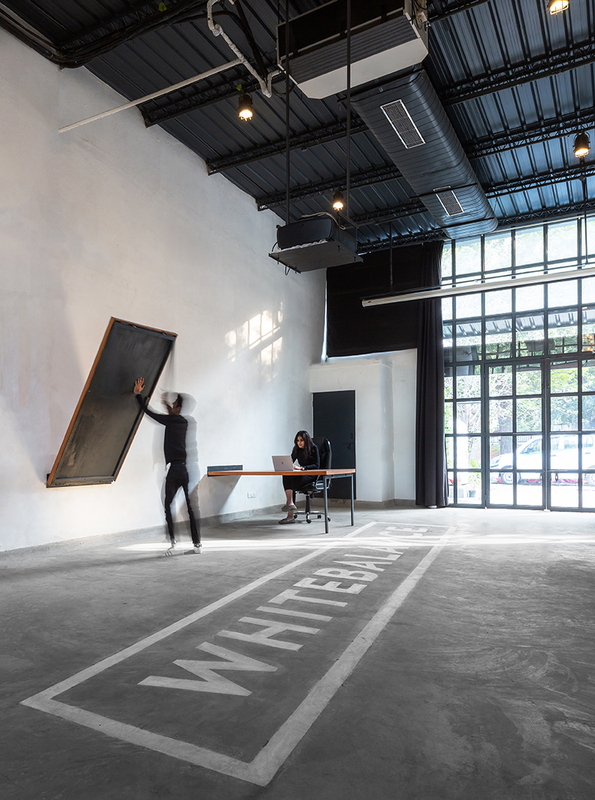 the new space provides the functions necessary for all the work stages — from creating to production — with modern design solutions. a large mezzanine of the existing structure covered almost two-thirds of the area which was demolished entirely to showcase the towering trusses overhead. another smaller one was built intelligently to provide for maximum viewing angles while not acting as an obstruction. 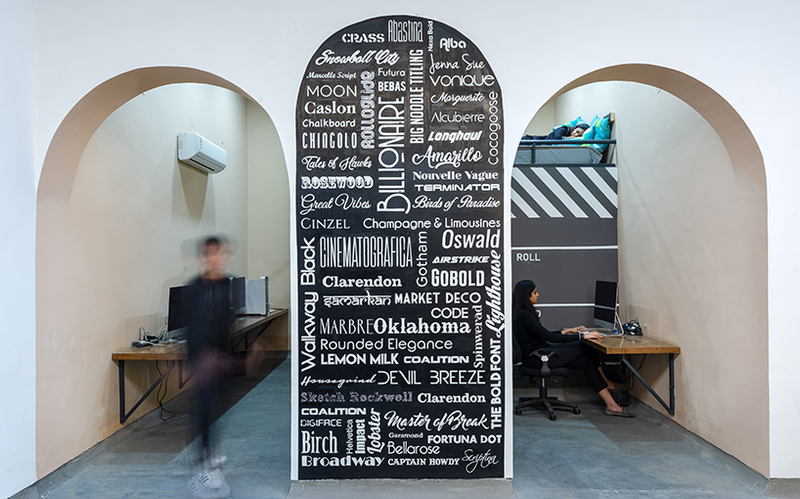 an existing 2-inch thick wall divided the space even further and was removed to connect the space horizontally as well as vertically. 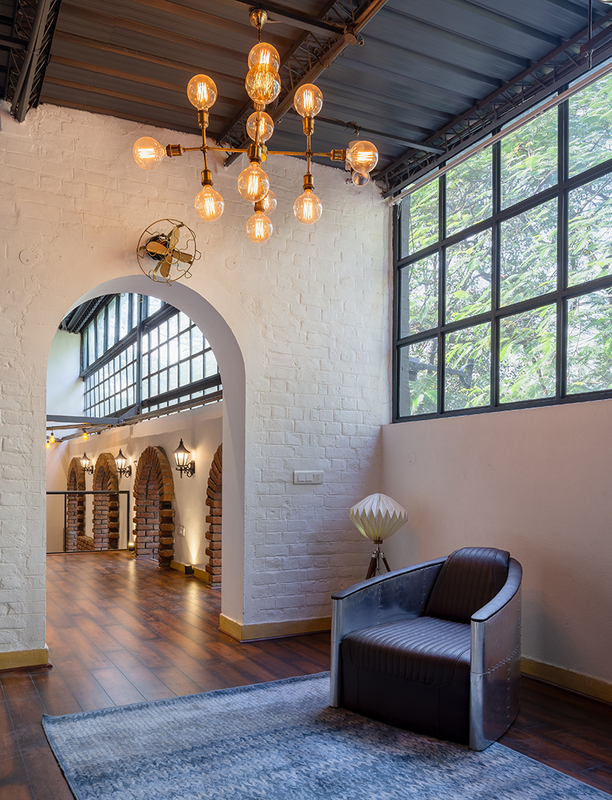 adjacent halls were interconnected through arched entries to create a workspace for the editing team. a sleeping nook was created above the private editing suite for the team that likes to work late hours into the night. 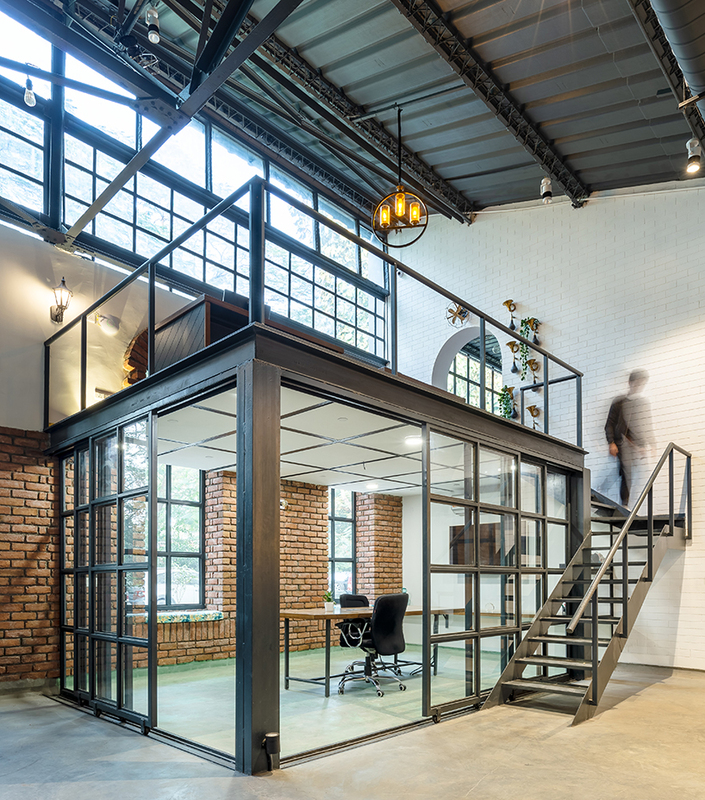 the conference room follows the same ‘one space’ principle — tucked away under one-half of the mezzanine, its doors were made of mild steel angles and glass which could slide out thus making the space larger while providing acoustic privacy if needed. 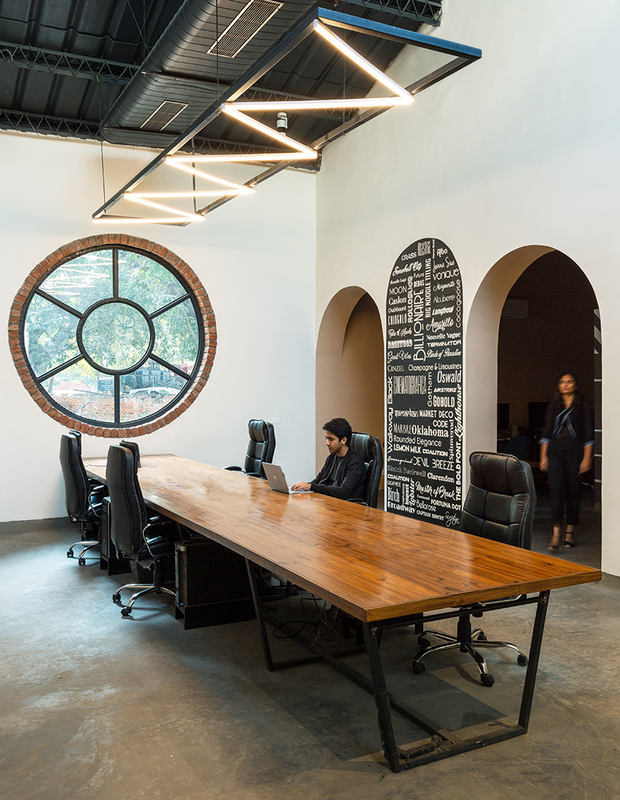 emphasis was given on providing as much natural light as possible and tall 15-foot-high brick arched windows were made on one side of the workspace to allow for the same. 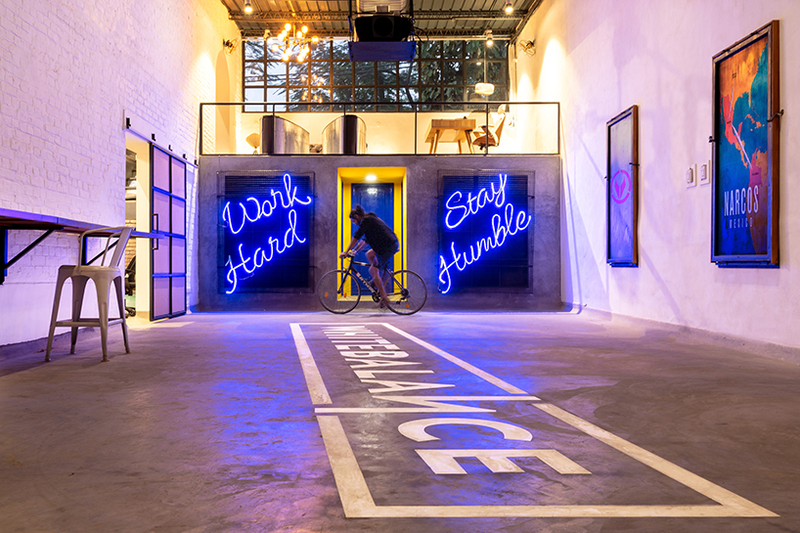 the mezzanine continued from one hall to the other via another arched opening thus overlooking the large multifunctional studio space, which would be used for screenings, product shoots or even a secondary workspace. 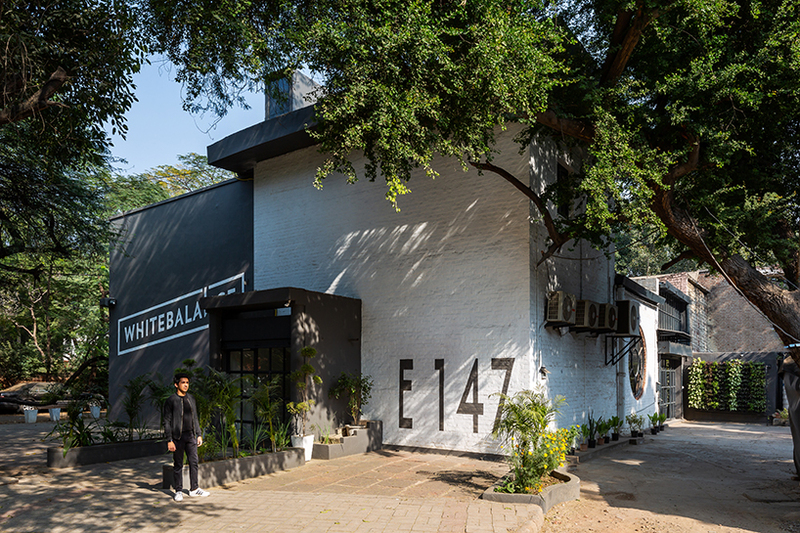 the mezzanine itself was used by the executives and thus were treated to the clerestory windows of the sawtooth roof, a part of which was made from scratch but followed the same design language as the existing ones. 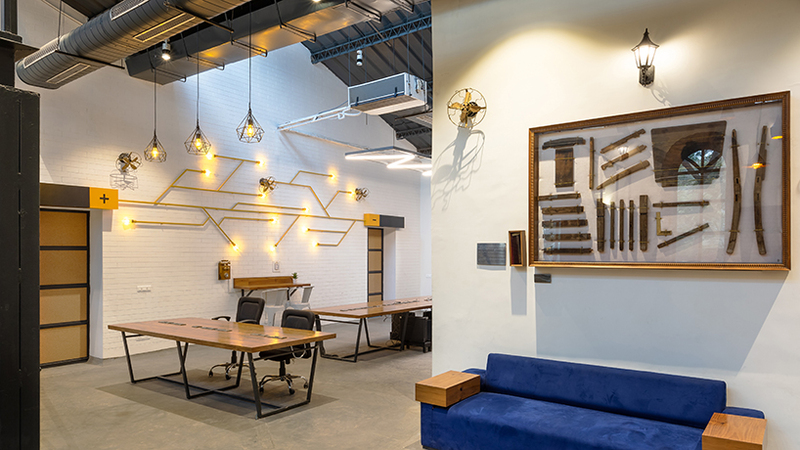 bespoke pallet wood tables were fabricated to the highest detail to go with the industrial aesthetic and aluminum-back arm chairs were made to stand out in the executive mezzanine.